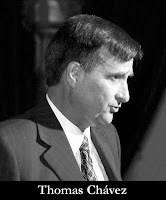 I am working from my home in Santa Fe while our Associate Director, Vince Hickman, mans the fort in New York. 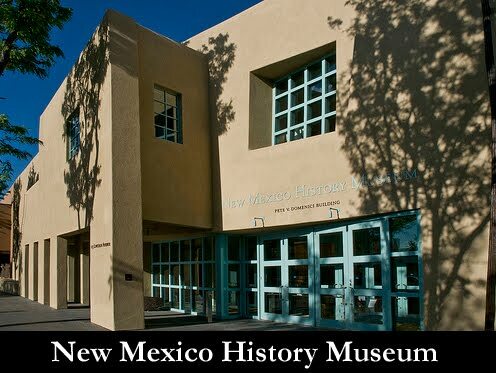 Last week I attended a lecture given by the noted historian and former Director of the New Mexico History Museum, Thomas E. Chávez. 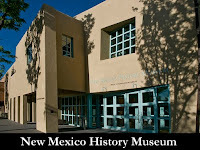 It was the first in a series titled “Telling New Mexico: a New History”. It was far from the scholarly history lesson we expected. Casting himself as Don Quixote, this humorous raconteur revealed how he pursued the impossible dream of building the grand new museum that opened earlier this year and he did it with tales out of school. 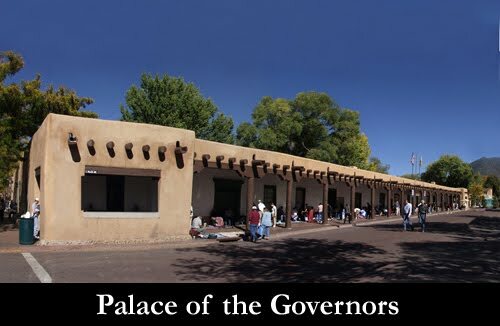 Long housed in the historic Palace of the Governors, this National Historic Landmarked building dating back to 1610 did not have the capacity to show or properly store the History Museum’s collections. In this fund-starved state finding the funds to build a new museum seemed only a pipe-dream. Tom Chávez was Director of this state museum for two decades. He said that he quickly learned that to do the job he envisioned he first had to take a vow of poverty! He also found that when dealing with the state legislature one had to learn to “assume the position”. Also, known as getting out the knee pads!! Chávez also highly praised his staff (and really seemed to mean it). He had the idea that they needed some free thinking sessions to come up with ideas for achieving the impossible. Therefore, he instituted what he called “seminars”, Friday afternoon brainstorming sessions fueled with beer and nibbles. When it was brought to his attention that one couldn’t drink in State offices, his reply, “I know”! The juices began to flow and he recruited like-minded dreamers in the community, several of whom he identified in the lecture audience. In order to build the new museum he wanted to put together three properties located directly behind the Palace of the Governors. The museum owned one, and the city another, but the third was a parking lot belonging to a gallery owner who had plans to expand but later decided to sell. The museum agreed to meet his price but the owner did not want to deal with the State bureaucracy and forthwith raised the price. Chávez was convinced that he would have to risk alienating the public and get the State Government to invoke Eminent Domain A lawyer from his supporters agreed to write a brief and they received permission to go ahead. Thus he brought the owner to the bargaining table, they agreed on a price and Chávez put his lot together. To raise the necessary millions to realize his dream Chávez eventually brought together private financial support with state funding and even Federal grants (then un-heard of for a state museum). It wasn’t all bricks and mortar. He launched a campaign to purchase the Segesser Hide paintings which are now the crown jewels of the museum’s collection. They are two huge 18th century paintings on buffalo hides illustrating military expeditions dispatched from the Palace of the Governors. They were owned by a Swiss family (von Segesser) and major funding from the state was needed to make the acquisition. It so happens that Chávez’s brother is a wholesale meat purveyor who traveled through New Mexico staying over one night a week in Santa Fe. As Chávez told him of the seemingly hopeless task his brother asked to see photos of the paintings. He spotted the detail of a priest with two arrows sticking out of his hind parts, and suggested putting the image on bumper stickers with the text “Save our Hides”. Each of the legislators was sent a bumper sticker , the newspapers caught on, and sales took off with “Save our Hides” appearing everywhere on the roads of New Mexico. At this point the legislators could simply not turn down the museum’s Don Quixote! Frances Levine, the current Director of the History Museum finally opened the new museum earlier this year to record crowds. In her introduction of Chávez that afternoon she paid homage to her predecessor and the lessons she had learned from the man who did not understand the meaning of the word ‘No’. A Fine Arts Dealer in Santa Fe, NM. www.pahaana.com, a website that has evolved from a fourth generation family concern dealing in a choice selection from a broad range of continental European works of art including old master paintings and drawings, sculpture, French 18th century furniture, German and French ceramics. - Click on images to enlarge. - Click on images with "arrow"